A TASTE OF WET PLATE COLLODION!! Places available: 10 - See link below to book a place. 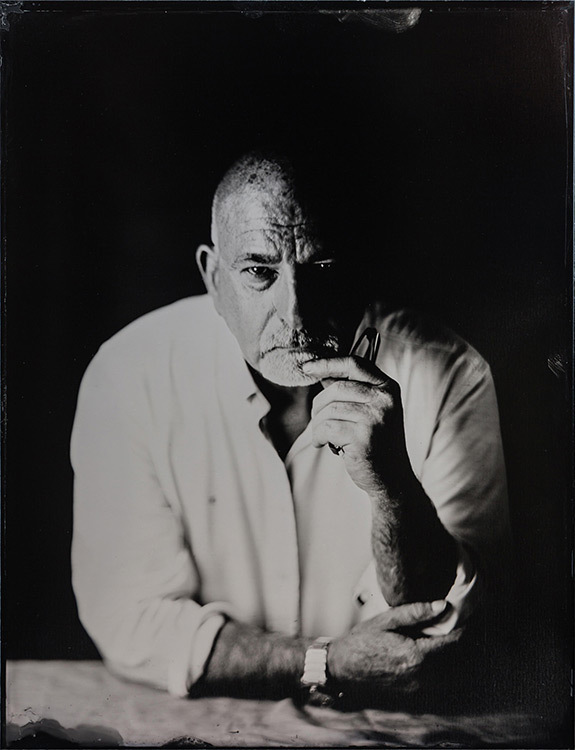 A demonstration of the Wet Plate Collodion process by Mike Brown - for full workshop see here and see note below!! This evening workshop will be a demonstration of the amazing 1850's process of Wet Plate Collodion for anyone interested in vintage and analogue processes. Starting at 7.30 pm it will last approximately 2 hours. You will get to see the cameras Mike uses and investigate the chemistry itself. Mike will then do a demonstration of the process by making a Tintype [an image made on a metal plate] and show the process from start to finish including "Pouring a Plate" and the development process. Questions are welcomed during this informal demonstration. Mike will be running a full One Day Wet Plate Workshop on Saturday March 2nd where participants can use the equipment to make Wet Plates of their own. If you have attended this demonstration Workshop you can claim a €20 discount off the price of the full One-day Workshop!! !